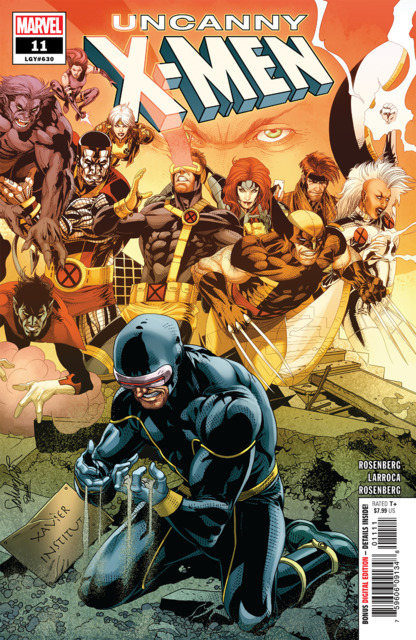 Uncanny X-Men #11 – I wasn’t all that impressed with the Disassembled arc, which I felt took too long in getting started and in making X-Man the credible threat that he was. I also found it questionable, the way so many X-Men showed up just to disappear at the end. But, that has cleared the playing field for Matthew Rosenberg to now write the series on his own, and feature the unenthusiastic pairing of Cyclops and Wolverine as they try to figure out what’s going on. This oversized (and overpriced) issue represents a big change in the status quo, and one that will take a while to explore. 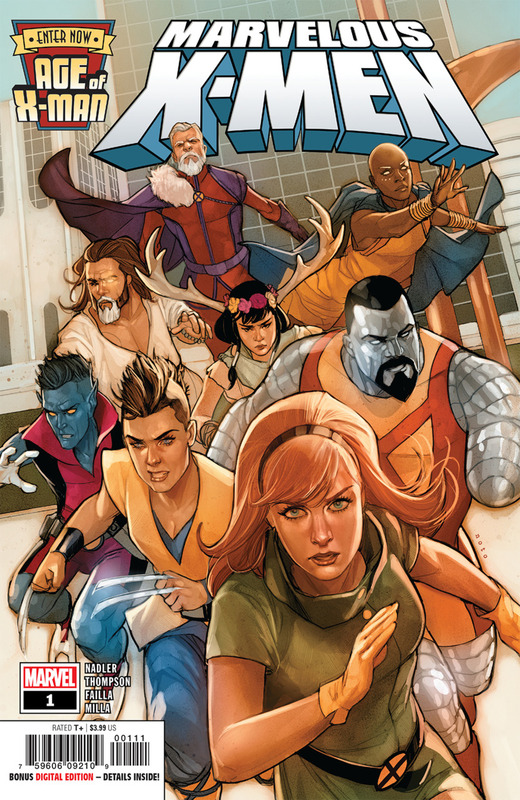 I think that this book needs to be better integrated into the Marvel Universe though, if most of the mutants are going to be gone, and if anti-mutant hysteria is going to be at a level usually saved for emergencies at the US border. Captain America’s appearance here doesn’t fit with what’s going on in his book at all, and even the more closely coordinated X-Force brings some continuity issues to the table. Still, I like the way Rosenberg writes both Summers and Logan (whose return I’m shaky on – does he have all his memories or not? ), and am finding this book to be much less predictable than normal. Salvador Larroca’s return to drawing this title is probably not exciting too many people, but I generally enjoy his work. Cemetery Beach #6 – Warren Ellis’s latest is reaching its end, with only one issue remaining, but the pace of this series has not slowed down one bit. Our two fugitives reach the outer ring of the otherworldly settlement they’ve been exploring, and once there, find where the regime stores bodies for organ harvesting. This title has been very enjoyable, and will make a great action movie one day. 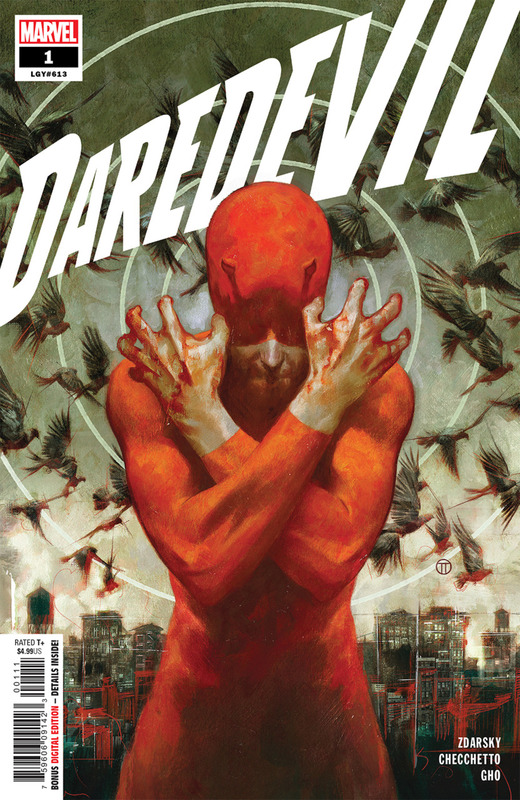 Daredevil #1 – Chip Zdarsky has taken over Daredevil, and he’s a great choice. After his injuries at the end of Charles Soule’s run, Matt has worked his way back to health, and is ready to resume his vigilantism. The thing is, Mayor Fisk still has the cops looking for him, and he’s not quite as prepared as he thought he was. This is a solid, grown-up issue. Zdarsky is examining what drives Matt to be Daredevil, digging back into his childhood, and his relationship with the Catholic church. Marco Checchetto is a good fit for this book, giving us realistic art, and making New York look a little uninviting. I felt that the end of Soule’s run a little forced, but it puts this book in a good position to look at Daredevil with new eyes. I like it. Deathstroke #40 – The confusing Arkham arc comes to its end, and I’m not any more sure than Slade is about the alien invasion and whether or not it actually happened. This was a complex storyline, but it does resolve a few longer plot points before setting up the coming crossover with Teen Titans. I feel lately like this book is having to rely on a number of guest appearances, and am starting to worry about its sales figures. It remains the only ongoing DC book I buy, and I want it, and Priest, to stick around. 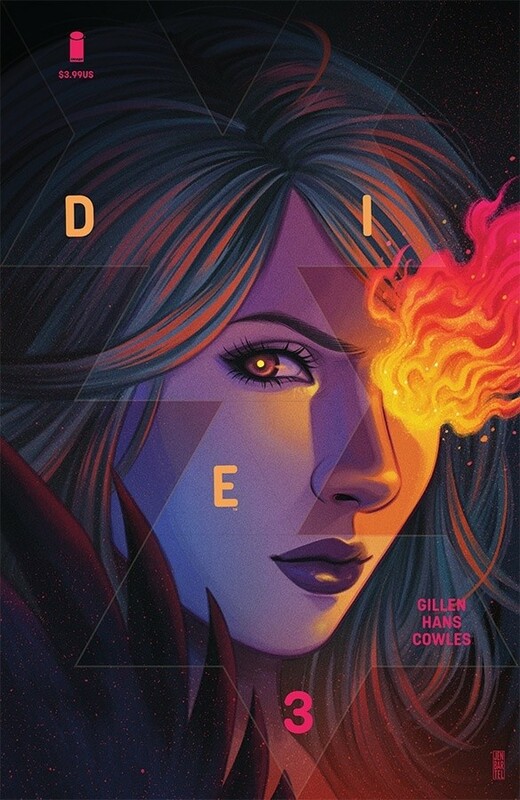 Die #3 – Kieron Gillen’s new series is as much an exploration of Dungeons and Dragons worlds, as seen from an adult perspective, as it is a solid fantasy series. This issue digs a little into the post-WWI roots of Tolkien’s work, while also helping us get to know Ash, the main character, a little better. This is some high concept stuff that is also very entertaining. Killmonger #4 – As we continue our look at N’Jadaka’s past, in the post-movie Marvel Universe, we see his relationship with Knight fall apart. I was hoping we’d have seen him back in Wakanda by now, but I’m still enjoying what is happening in this title, especially Juan Ferreyra’s art. Shadow Roads #6 – This series, set in the post-Sixth Gun world, returns from its hiatus and takes some time to check in on all of the main characters, and create a reason for them to continue to work together. 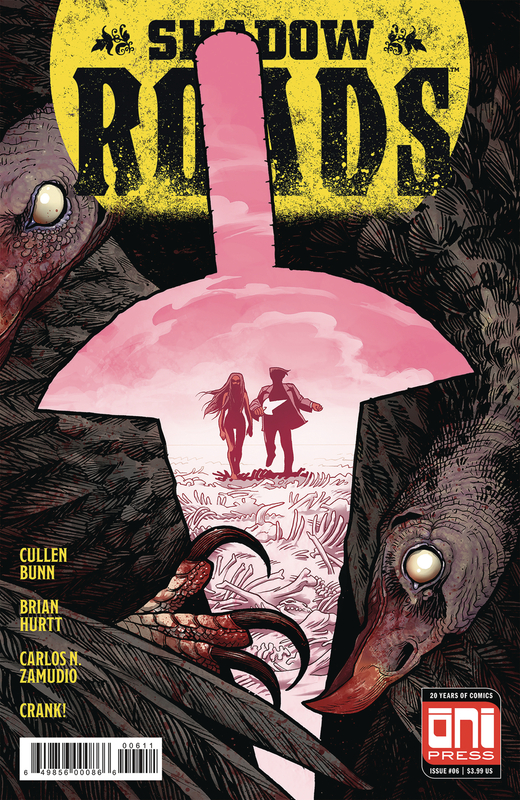 Brian Hurtt takes the reins here, developing a story written with Cullen Bunn. I like the way this series is shaping up, both acknowledging what came before, but also becoming its own thing, with strong characterization throughout. Star Wars #61 – While this might not be the most exciting final chapter for this story arc, it’s nice to see our heroes finding their way back to the Rebellion, and start plotting their next moves. This arc was a nice breather after the huge scale of the last one, but it’s time to get back to rebelling. Vindication #1 – I was intrigued by this new Top Cow series. It’s a cop drama about an LA detective who seems to be a little obsessed with an old case. The convicted killer, a black man, is released after ten years of insisting his innocence when the DNA evidence doesn’t match, but our cop is outside the prison waiting for him. Later, one of the jurors on the case turns up dead, and IA is after our main character. The writing, by MD Marie, is interesting, but there are places where the art, by Carlos Miko in the Top Cow house style, can be a little stiff or unclear, largely because characters look a lot alike. Still, I’ll stick with this, as I’m curious about it, and how it’s fitting in the larger public narrative around police and their interactions with the black public. The Walking Dead #188 – This issue balances the recent focus on political intrigue with a good old-fashioned herd of the dead, as Jesus, Carl, and some others run into trouble on the road to the Commonwealth. Meanwhile, Rick and Michonne are watching things get more and more tense, and still can’t decide what they should be doing. 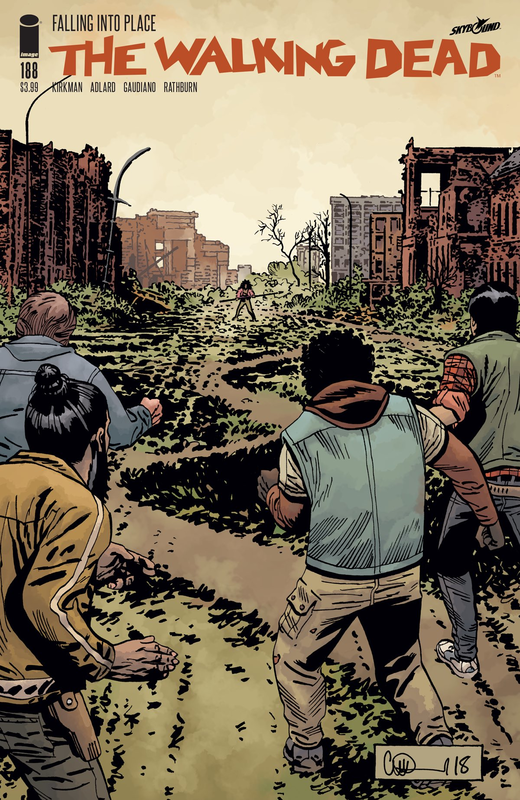 Things have made a shift in this book of late, as it’s gotten more philosophical, but this issue proves that Kirkman and Adlard aren’t afraid to return to the series’s roots from time to time. 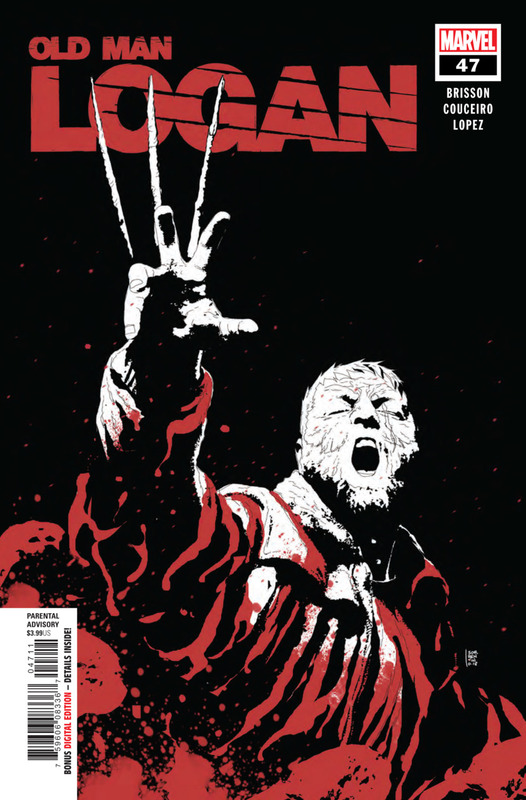 Old Man Logan Annual #1 – This is a pretty serviceable story set in the Wastelands that has Logan meeting Old Man Punisher some time between the Mark Millar run and the beginning of Jeff Lemire’s. My problem with all the Old Man-iverse is that it supposes that Logan would have aged more or less at the same pace as everyone else, which doesn’t make a lot of sense, as he’s much older than most everyone he’s shown hanging out with. It makes sense that Banner would still be around when Logan was old, but not Frank Castle. Marvel’s need to make this a franchise is a little desperate. 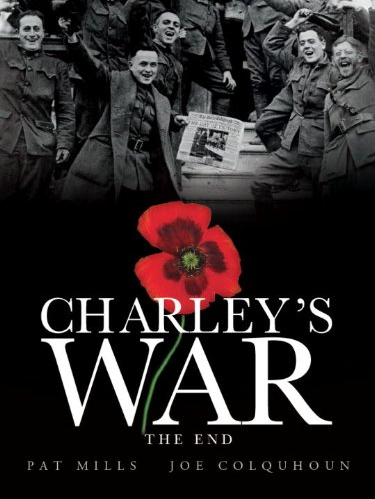 Charley’s War Vol. 10: The End – After a few years of tracking down volumes of this fantastic WWI British war comic, I’ve finally come to the end of it all. Pat Mills decided to extend Charley’s tour into Britain’s involvement in fighting against the Bolsheviks in the Russian Revolution, something that I never knew about. It’s a strange epilogue to the series, full of armored trains and floating bridges, and in some ways, it’s inclusion in Charley’s story lessens the impact of the armistice. I do like the way that Mills showed Charley and one of his war companions in later years, unemployed and feeling betrayed. The throughline of this series was its anti-war sentiment, so of course Mills kept that going until the very end. Joe Colquhoun’s art is a wonder in many places. I’m thankful I was able to read this whole run, and got a lot out of it.